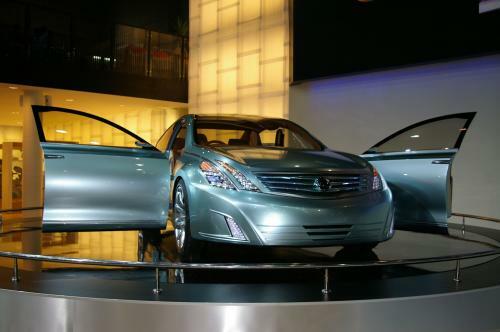 Some concepts give us some vague idea of what some future cars might look like, but this Intima concept looks like it was the concept that the current Nissan Teana was derived from, but more than likely it points to the next generation Teana, due out this year in Asia, with a Thai launch sometime in 2009. The most outstanding thing about the concept is the doors, which look like the stops are broken allowing them to swing around to allow very easy access for passengers. 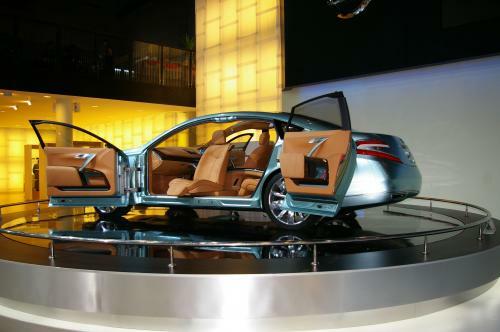 The rear features suicide doors, that are very unlikely to find their way into production. Also likely to be dropped is the system allowing the passenger seats to swing out of the car which would make climbing in and out of the car a thing of the past. Alas, these sort of things are just not practical to implement in a production model, although you do see this feature in some vans to provide access for the disabled. Nissan Intima Image Gallery with higher quality images. 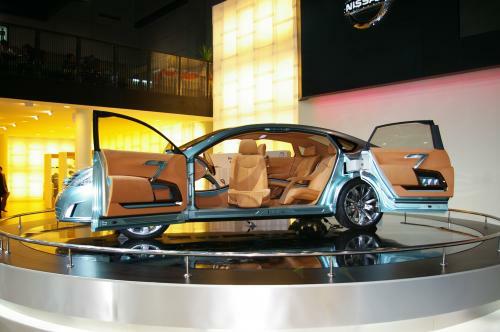 Check the front page regularly for developments on the Nissan Teana and other Thai related industry news.